Last year, I asked some of my friends and family to give me one word they'd each use to describe themselves. I received nearly 100 responses, with just a few repeats. Armed with a pen and newsprint, I began drawing visual representations of each response, for a total of 97 individual drawings. My goal? I want everyone who sees these images to be inspired to consider who they are now and who they want to be. How do you see yourself? 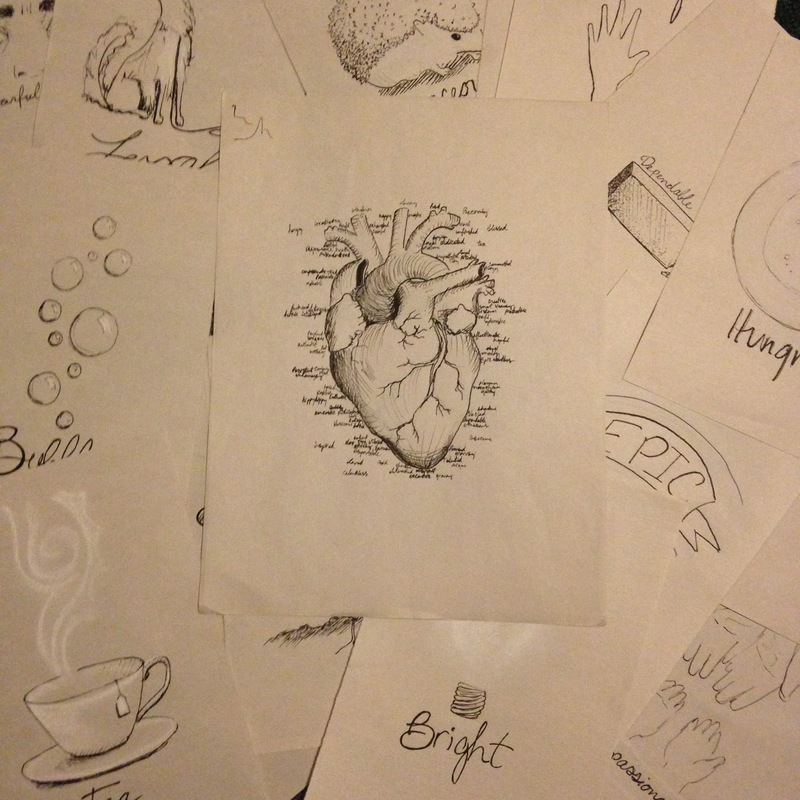 Strong, short, determined, sad, struggling, fighter, joyful, fat, loving, crazy, magnetic. Just be honest. 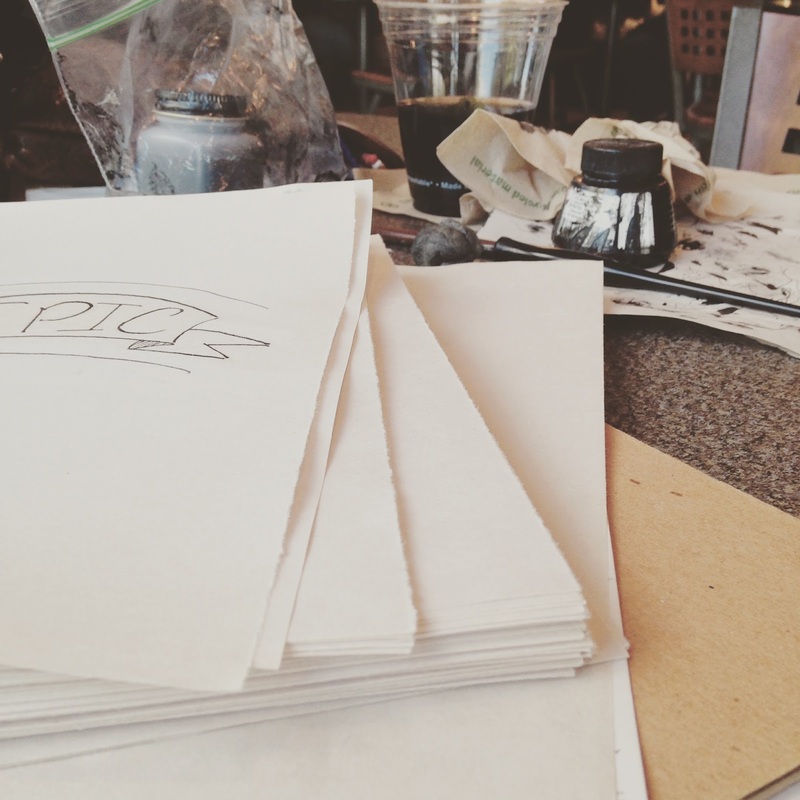 No talent required; you don't have to be the next Michelangelo. Just be honest with yourself. Are you happy with who you are? Do you want your description to change? What word do you want to be described as? 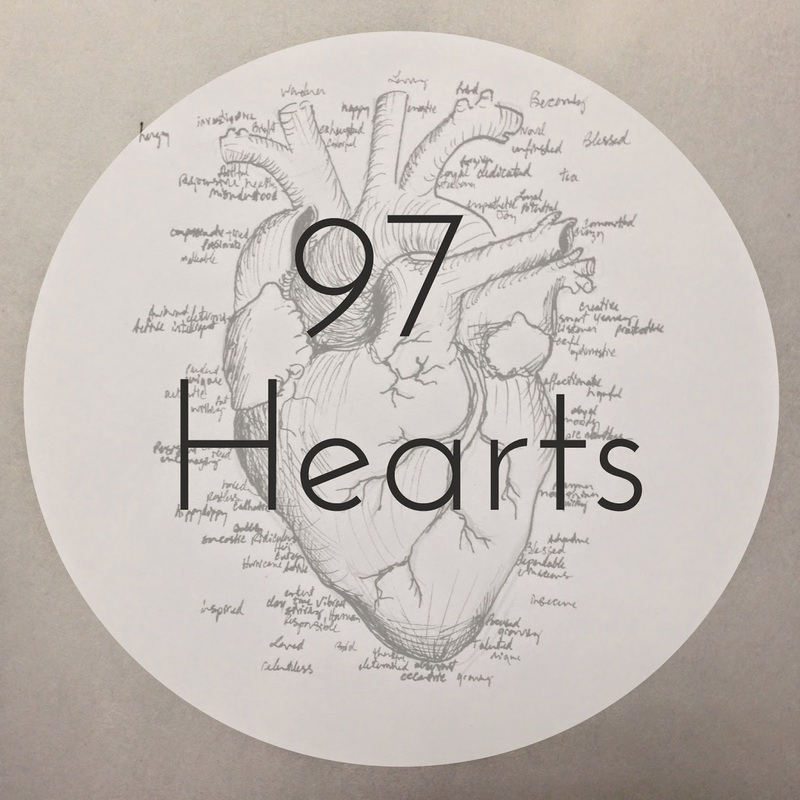 Are you willing to take the 97 Hearts Challenge? 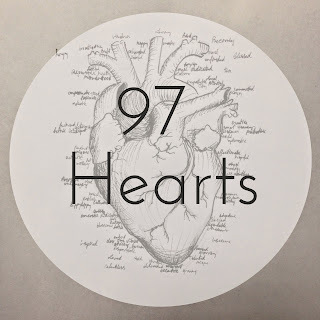 You can read some more about the project and how it began over on the 97 Hearts blog post.